Lightweight and black anodised vintage discs have been added to our range. 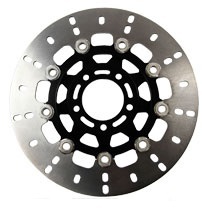 We have had many requests for a vintage fitment with modern technological advances such as billet aluminium construction, lightweight, less unsprung weight enabling better handling and stopping power. Perfect for the Café racer scene. 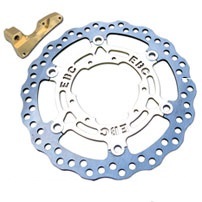 The all new EBC Brakes black chrome rotor for big twins is a polished stainless and black chrome centre hub finish range of fully floating brake discs/rotors for all US built big twins and cruisers. 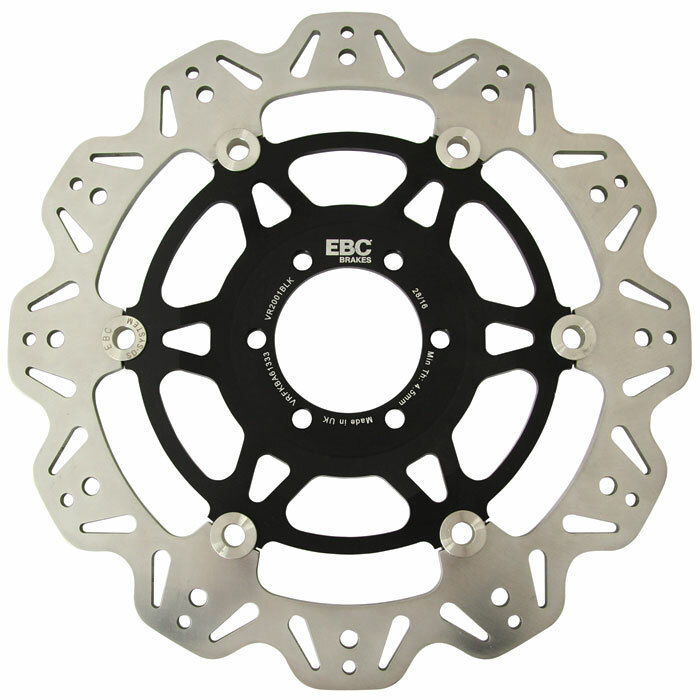 As with all EBC big twin rotors, all components and hardware are stainless steel but in addition to the high lustre polished stainless steel centre hub, we have applied a black chrome finish to improve the cosmetics. 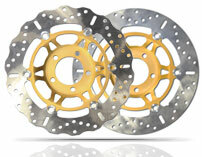 A new range of brake rotors for ATV/Quad/Side x Side machines featuring lightweight vee profiled contours. 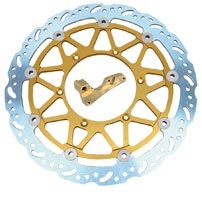 These rotors look great and are self cleaning whilst improving brake performance. Made from durable and tough heat treated stainless steel, 100% made in our British manufacturing facility using premium German mill rolled steel, heat treated and then diamond ground to deliver great braking at less than OEM prices. 320mm rotor upgrade kits complete with relocation bracket. To order prefix with SM, example SM6037C. Most models now made with contoured profile. 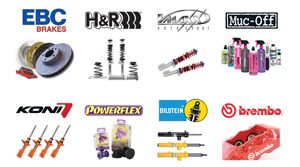 The Travis Pastrana recommended brake set up … who knows better? 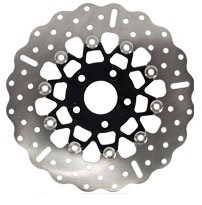 This Oversize MX Disc / Rotors easy upgrade is the best way to grab more stopping power and control in a few minutes simple work. 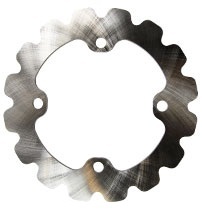 This Oversize MX Disc / rotor conversion kits is delivered with. 280mm Optimum diameter fully floating rotor to replace your stock solid rotor. (Fully floating rotors resists warping better and handle heat and loads better), British laser profiled and built. Billet aluminium relocation bracket designed and made by MX Expert Ted Devol in California.